What are the Best Tires for the Subaru Forester? What’s the first thing that enters your mind when the Subaru Forester is mentioned in a conversation? I bet you see a sporty and adventurous SUV that is capable of taking your driving experience to the next level. In that regard, choosing the best tires for the Subaru Forester can become tricky at best. The Subaru Forester was first presented at the 1995 Tokyo Motor Show. It was called the Streega concept vehicle during that time. The vehicle entered production in 1997 in Japan and was first sold in the United States in 1997 as a 1998 model vehicle. Fine, but what makes the Subaru Forester special compared to other crossovers such as the Toyota RAV4 or Honda CR-V? All models of the Subaru Forester are equipped with a Boxer engine that is lighter and more compact than a conventional internal-combustion motor. It also lies closer to the ground to give the car a lower center of gravity. You know what this means, right? The Forester will probably be one of the most capable and best-handling crossover vehicles that you will ever drive. I mean it. The Subaru Forester also comes standard with an all-wheel drivetrain to deliver better traction, outstanding grip, and excellent handling. 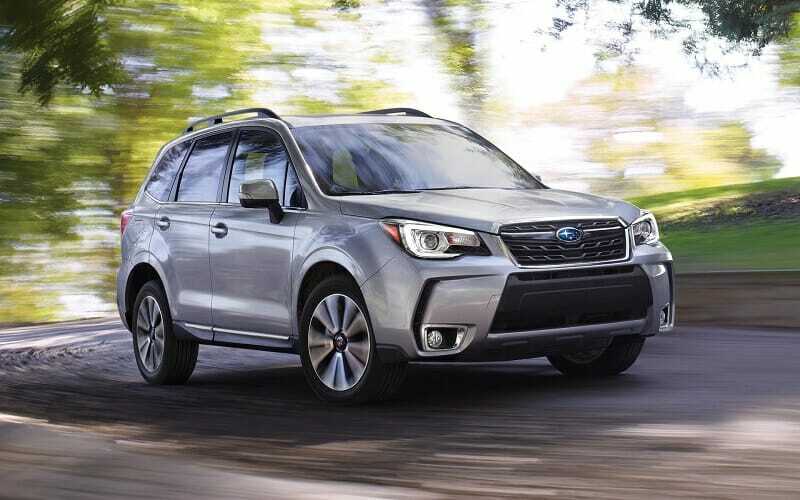 If you are the speedy type of driver, the Subaru Forester can be ordered with a turbocharged Boxer motor with the same symmetrical all-wheel drivetrain. The Subaru Forester is more than just an off-road capable SUV. Sure, it can handle the rough stuff better than comparable vehicles in the same category, but it is an excellent family car as well. If you and the wife have two kids, the Subaru Forester is all the car you will ever need. It is a practical, sporty, and comfortable vehicle that rides better than the Subaru Impreza. It’s worth noting both vehicles share the same platform, but I prefer the Forester architecture simply due to the roomier cabin and smoother ride. With those things in mind, it is clear the best tires for the Subaru Forester will all depend on your driving needs and preferences. If you do a lot of city and highway driving but rarely finds time to explore the great outdoors, a proper set of all-season touring tires will be perfect. 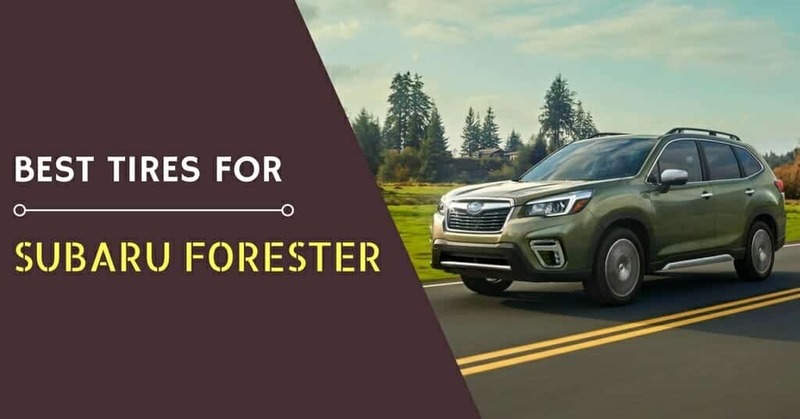 But if you are the adventurous type of Forester owner, you need a more reliable and dependable set of tires that are equipped to handle changing terrain. I know that’s asking too much from a set of rubber, but hybrid tires are all the rage these days. I managed to compile a list of Subaru Forester tires recommendation, including the best OEM and budget tires. If you have money to spare, I highly suggest the more expensive OEM brands. But if cash is a bit tight, take a closer look at the best cheap tires so you can save a bit of cash. The Yokohama Avid Ascend merges the attributes of an all-season tire with the long tread life and quiet ride of a proper touring tire. This is a hybrid tire at its best. The Yokohama Avid Ascend is manufactured using a tread compound infused with Orange Oil that promotes lower rolling resistance, longer wear, and better fuel economy. The optimized tread profile is designed to significantly reduce road noise while enhancing the tread life of the tire. It is equipped with tread block ridges that reduce tread movement along with cross grooves and deep circumferential grooves that enhance traction in wet, icy, or snowy weather. The Avid Ascend is one of the best Subaru Forester tires for all-season driving. The Yokohama Avid Ascend is also equipped with a tapered center rib to improve the stability and steering feel of your Subaru Forester. What I really like about the Avid Ascend is the sporty handling and the quiet ride. This tire is there when you need it most, but it allows you to cruise quietly if you want to relax. Earlier models of the Subaru Forester have a bit more road noise than newer models. This all boils down to the NVH tuning of the vehicle. The Yokohama Avid Ascend is great for old or new Foresters because it can roll silently in the background to deliver a more refined driving experience. The Yokohama Avid Ascend is available in 15” to 19” diameters and comes with an 85,000-mile warranty. This tire starts at around $90 to $120. It is one of the best OEM tire choices for the Subaru Forester. When talking about the best tires for the Subaru Forester, it is only fitting to include the Goodyear Assurance WeatherReady. Mind you, this tire starts at around $138 to $200 each so it also happens to be one of the most expensive tires in this list. But the price is relative to the amount of features and performance that you can get out of the tire. The Goodyear Assurance WeatherReady is primed and ready for your next on-road or off-road adventure. The tire offers excellent all-weather traction for starters, but it manages to perform admirably under slippery or wet driving conditions. One of best off road tire for Subaru Forester. The tire is equipped with an asymmetrical tread pattern with sweeping traction grooves to easily dissipate water from the treads. This will enhance traction on wet roads while giving the driver adequate grip on icy or snowy roads. In fact, this tire is rated Severe Snow Certified (SSC) and can handle more than just a couple of inches of snow. It's is one of best snow tires for Subaru Forester. The Goodyear Assurance WeatherReady is built using Weather Reactive Technology. The tire is equipped with evolving traction grooves that will widen the grooves as the tread wears down. Tredlock technology allows the treads to open or close to provide better traction when cornering or traversing over wet roads. This makes it the best Subaru Forester tires for superior all-weather traction and durability. Technology and performance is at the heart of the Goodyear Assurance WeatherReady. This tire is available in 15” to 20” diameters and comes with a 60,000-mile treadwear warranty. The Michelin Primacy MXM4 is crafted to deliver precise handling, superior ride comfort, and all-season traction and safety. Michelin claims this tire can stop your vehicle 29’ shorter in wet driving conditions. This tire is manufactured using a tread compound infused with sunflower oil to improve performance in the snow while enhancing braking and handling in wet pavement. The tire also benefits from Michelin’s MaxTouch construction technology. 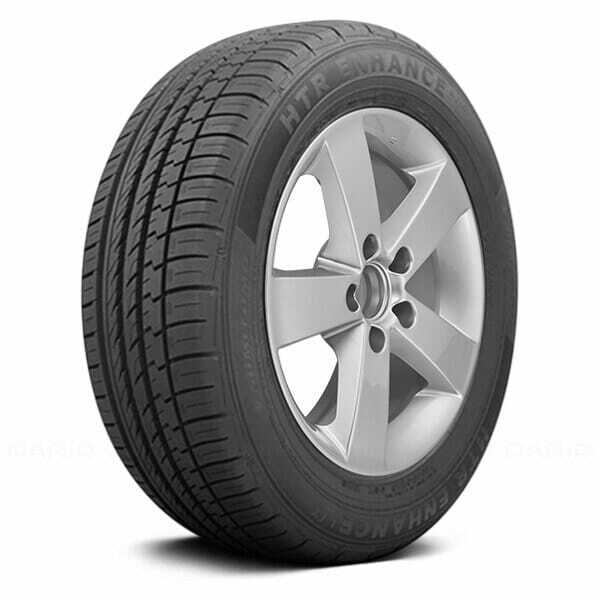 This allows the tire to deliver balanced and even tread wear. The treads are equipped with multiple biting edges to confidently deliver outstanding all-season traction and grip even over moderate snow. It is the best Subaru Forester tires for sporty handling and highway comfort. The Michelin Primacy MXM4 will start upwards of $140 all the way to $230 each. It might not be the most economical tire choice for the Subaru Forester, but it is certainly one of the best. I particularly like the ride comfort, excellent handling, and strong braking of the Michelin Primacy MXM4. It also comes with 45,000 to 55,000-mile warranty and a standard warranty of 6-years from the date of purchase. 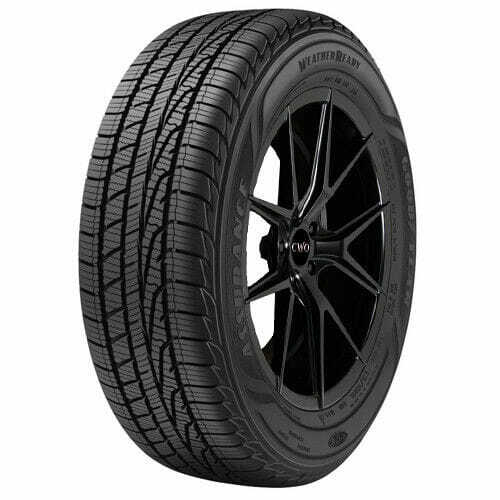 The Bridgestone Potenza RE906AS is a high-performance all-season tire designed for sporty sedans, coupes, and crossover vehicles. This tire is designed to combine the merits of an all-season tire and summer tire in terms of performance. My previous experience with the Bridgestone Potenza RE906AS was a pleasant one. I was able to test this tire a couple of months back and I was astonished on how the tire managed to deliver higher levels of grip on both dry and wet roads. In fact, I think the tire felt more reassuring in the wet. That’s how good it is. It is still one of the best Subaru Forester tires for high-performance driving. The treads of the Bridgestone Potenza RE906AS benefits from the unique Hydro Evacuation surface (HES) that improves wet weather traction by reducing the flow resistance of the water along the groove walls. This will basically improve the contact surface of the tire even as you drive over deep water muddles or snow-covered roads. The tire is also manufactured with a cooling fin sidewall design and Nanopro Tech Sidewall Reinforcement Rubber Compound. The technology enables the tire to maintain better riding comfort and low-pressure mobility for added safety. This also means you can drive further even if the tire is punctured. 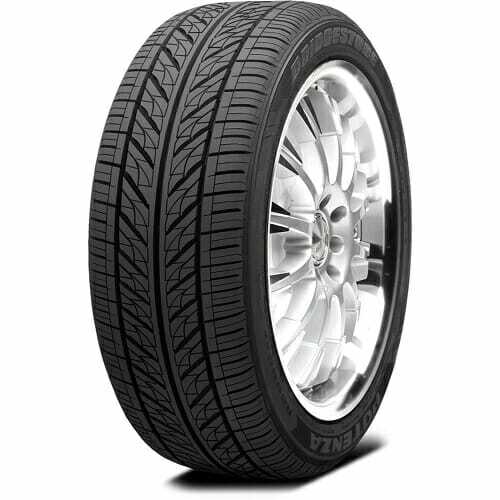 The Bridgestone Potenza RE906AS Pole Position RFT is not cheap. It starts at around $150 to $250 and is available in 16” to 19” diameters. This is one of the best tires for the Subaru Forester simply because it offers advanced all-season traction along with better handling and a more comfortable ride. The tire is also accompanied by Bridgestone’s excellent 40,000-mile warranty. Continental offers a lot of tire choices for the average consumer. 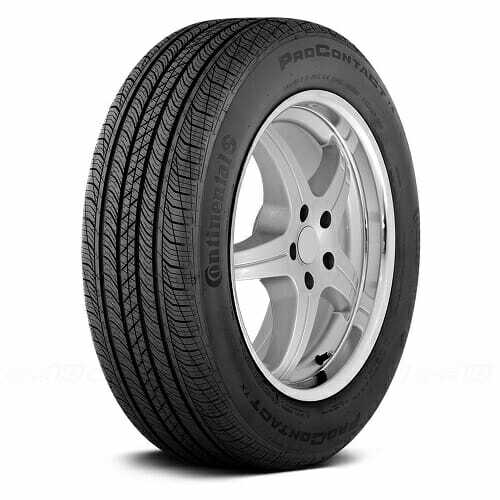 The ProContact TX is a luxurious high-performance all-season touring tire. Although a bit pricey, this tire is perfect for the Subaru Forester simply because it offers enhanced dry, wet, and snow traction along with a whisper-quiet and fuel efficient driving experience. The Continental ProContact TX is manufactured using a state-of-the-art silica enriched tire compound. This will enhance the low rolling resistance of the tire to deliver a silent ride and excellent gas mileage. 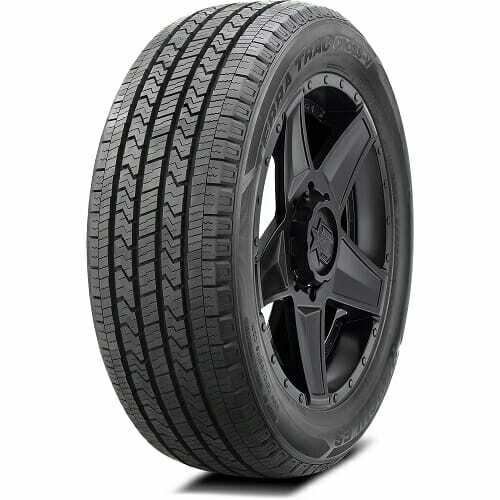 The tire is equipped with an enhanced multidirectional tread design that is optimized to offer superior grip in all season driving. This is the best Subaru Forester tires for luxurious comfort and all-season grip. The Continental ProContact TX is available in 15” to 20” diameters and comes with 3-year emergency roadside assistance and 55,000-mile limited warranty. Prices start at around $120 to $140 each. The Toyo Open Country Q/T is a premium all-season touring tire designed for crossover vehicles and small SUVs. It is designed to offer a comfortable and quiet ride along with advanced levels of traction and a longer tread life. Toyo Open Country Q/T is one of the quietest tires for Subaru Forester with cheap price. The Q/T stands for Quiet. The Toyo Open Country Q/T is primarily a luxurious touring tire first and foremost. I tested this tire a couple of weeks back and I was impressed with the comfort and ride silence. This tire can also handle a bit of ice and snow and the low rolling resistance will contribute greatly to the fuel economy of your Subaru Forester. The Toyo Open Country Q/T is equipped with four wide circumferential grooves. The treads have open lateral slits to improve water drainage. Silent Wall Technology ensures a quiet and refined ride while the multi-wave sipes will improve traction and braking on both wet and dry roads. The Toyo Open Country Q/T is a great budget alternative to the OEM tire brands. It starts at around $120 each and is accompanied by a 65,000-mile warranty. The Sumitomo HTR Enhance C/X is a touring tire that is also rated for mud and snow use (M+S rating). It's one of best all terrain tires for Subaru Forester. This tire is perfect for the Subaru Forester owner who likes driving over mild off-road terrain. Despite the rugged nature of the Sumitomo HTR Enhance C/X, it performs exceptionally well on both wet and dry roads while still giving you a quieter and smoother ride. The tire is equipped with a 5-pitch block combination design to counterbalance the resonating frequencies as the tire rolls on the pavement. The asymmetric tread design is equipped with a 5-rib pattern to deliver even wear and enhanced stability. The Sumitomo HTR Enhance C/X is also equipped with long lateral grooves to provide better performance in all-season driving. The tire also has wider outside shoulder blocks to enhance high-speed stability and cornering. The Sumitomo HTR Enhance C/X is available in 15” to 19” diameters and starts at around $80 each. The tire is accompanied by a 60,000-mile treadwear warranty with free 2-year roadside assistance to give you complete piece of mind. If you are on a tight budget, this tire deserves more than just a second look. There is a lot to like about the Laufenn G FIT AS. This tire is a reasonable choice for those who demand all-around and all-weather performance without breaking the bank. 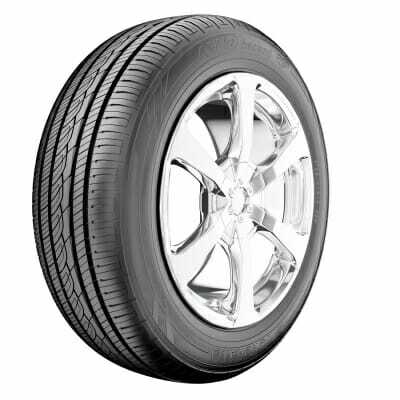 It is an all-season touring performance tire with excellent all-season capabilities and a smooth, quiet ride. The tire is equipped with four wide straight grooves for efficient water drainage. The trapezoid edge center block is designed to improve handling and steering feel. 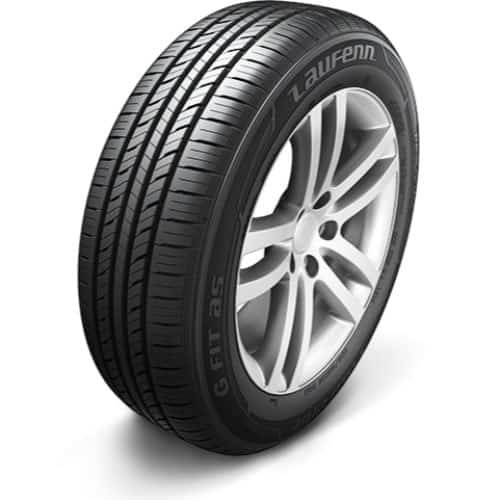 The Laufenn G FIT AS is also equipped with tie bars that reinforces the stiffness of the tread to deliver better handling and cornering grip. The optimized tire profile will deliver longer mileage and even tread wear. The noise reduction rib blocks and chamfered groove edges will ensure a smoother and quieter ride. The Laufenn G FIT AS is available in 13” to 17” diameters. Prices start at around $65 each. 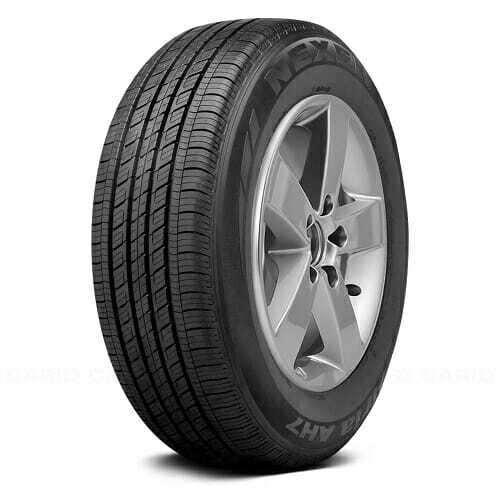 The Nexen Aria AH7 is a premium standard touring tire designed for all-season driving. This means the tire can give your Subaru Forester a quiet and comfortable ride along with longer wear and better fuel economy. The Nexen Aria AH7 is manufactured with an increased block stiffness to deliver excellent grip on dry and wet roads. 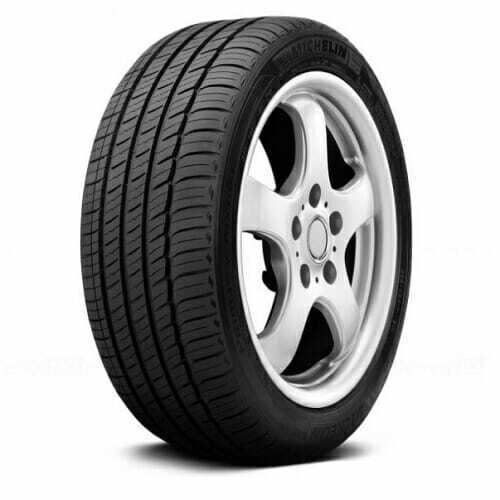 The five optimal pitch arrangement of the tread pattern is designed to reduce the road noise of the tire. It is also equipped with a uniform center width to promote even wear and better stability in high speed driving. The Nexen Aira AH7 comes with an impressive 80,000-mile warranty. It is available in 15” to 18” diameters with prices starting at around $78 to $85. The wildcard in this list of budget tires for the Subaru Forester is the Hercules Terra Trac Cross-V. This tire is designed to deliver all-around performance, durability, and versatility. This is an all-road capable tire that manages to perform well in all-season driving. The Hercules Terra Trac Cross-V is engineered to deliver responsive handling and relentless grip on any type of surface, whether wet, dry, snowy, or over loose gravel. The tire is manufactured using an advanced silica enriched compound to ensure superior handling and grip in wet driving conditions. 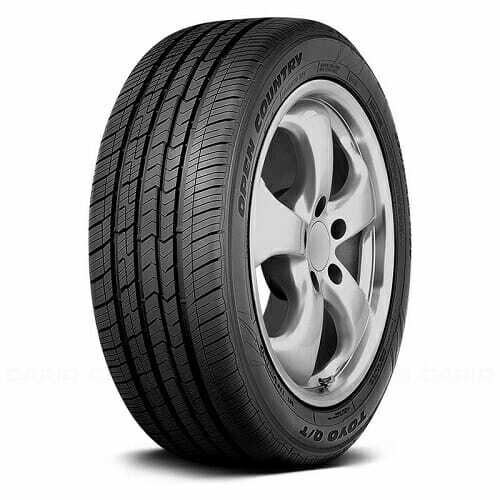 The tire has an open shoulder design with a built-in water guard to maintain a firm grip on the road surface. It has reinforced shoulder blocks and tie bars to enhance the stability and handling of your vehicle. The Hercules Terra Trac Cross-V tire is a do-it-all tire that will enhance the all-road capabilities of your Subaru Forester. This tire is available in 16” to 22” diameters. Which is better for the Subaru Forester: all-season or touring tires? Hybrid tires will give you the best of both worlds. They offer all-season traction with the comfort and longer treadwear of touring tires. But since the Forester is a capable crossover SUV, you should choose a set of CUV tires that are comfortable and more durable than ordinary car tires. Can I install A/T tires in my Subaru Forester? Theoretically, yes. But you will only ruin the ride, handling, and refinement of the vehicle. Even though the Subaru Forester is equipped with all-wheel drive, it is not designed for extreme off-road or rocky terrain, hence negating the need for A/T or all-terrain tires. Unless your Subaru Forester is modified for extreme off-road use, you will only waste your money on a more expensive set of A/T tires. When should I rotate the tires in my Subaru Forester? Check the owner’s manual. Subaru recommends the tires to be rotated every 6,000 to 7,500 miles. It is highly important to follow the recommended service intervals to avoid overstressing the all-wheel drivetrain in your Subaru Forester. Choosing the best new set of tires for the Subaru Forester need not be a time-consuming affair. Remember to take your driving habits into consideration in order to get the best bang for your buck. Recentlypurchased a2019 Forrester all equipped with falken tires. Know nothing of these tires, but assume They are just “factory” adequate,.do A lot of snow belt driving,and wondering if I should switchthem out right away, or see how they do? Vehicle will arrive in late Dec. Thanks for the great tire reviews and recommendations.